The 25 Hotel Villa Nabila rooms have been completely renovated at the beginning of 2016, using a contemporary furniture and following an elegant style, in which the greatest attention right down to the smallest details is combined with a simple design and the choice of materials and high quality construction techniques. Each room is completely soundproofed and features air conditioning, free Wi-Fi, telephone, mini bar, LCD TV, safe box and other amenities. The Hotel Villa Nabila offers 2 superior double rooms, 9 standard Double rooms, 10 Queen size rooms and 4 French bed single rooms. Depending on your preferences, and according to availability, you can choose between rooms with parquet or carpet. In addition to featuring standard bath linen, bathrobe and bedroom slippers are available on request. The Hotel Villa Nabila is equipped for guests with disabilities. The single room is a room that can accommodate you in the best way if traveling alone and want to enjoy a peaceful and relaxing stay. The room is equipped with a comfortable 3/4 bed and all the comforts (air conditioning, telephone, flat screen TV, safe, minibar, hair dryer, and personalized linen), to spend one or more days in peace and quiet. The double room presents two single beds that can be joined if necessary. Simply furnished and refined, is characterized by a high attention to details, and the bathroom has shower or bath according to availability. 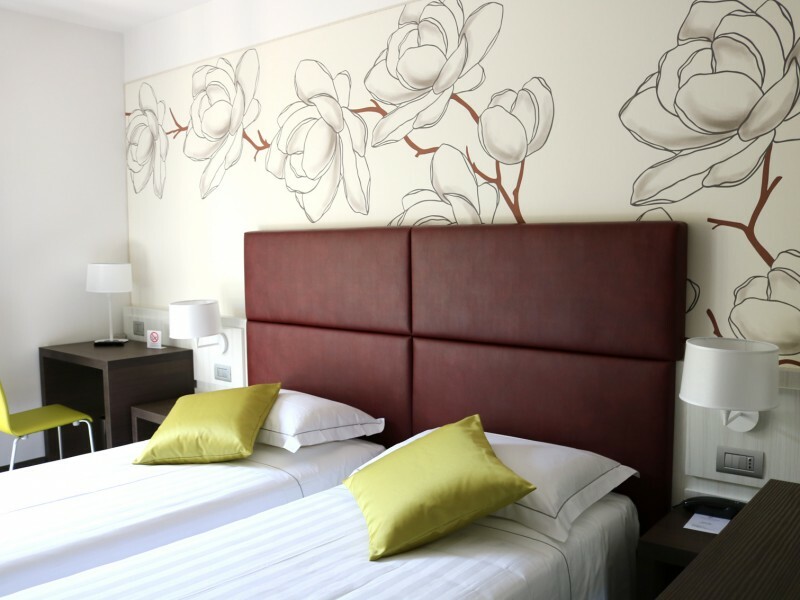 The room offers you all the comforts needed for a pleasant stay: air conditioning, telephone, flat screen TV, safe, minibar, hair dryer and personalized linen. The Queen size bedroom is with a double bed decorated with taste and simplicity. Available with wooden or carpeted floor, the room offers all the necessary amenities: air conditioning, telephone, flat screen TV, safe, minibar, hair dryer, etc. The bathroom has a shower or bath. Large windows overlook the hotel's park, offering you a panoramic view. 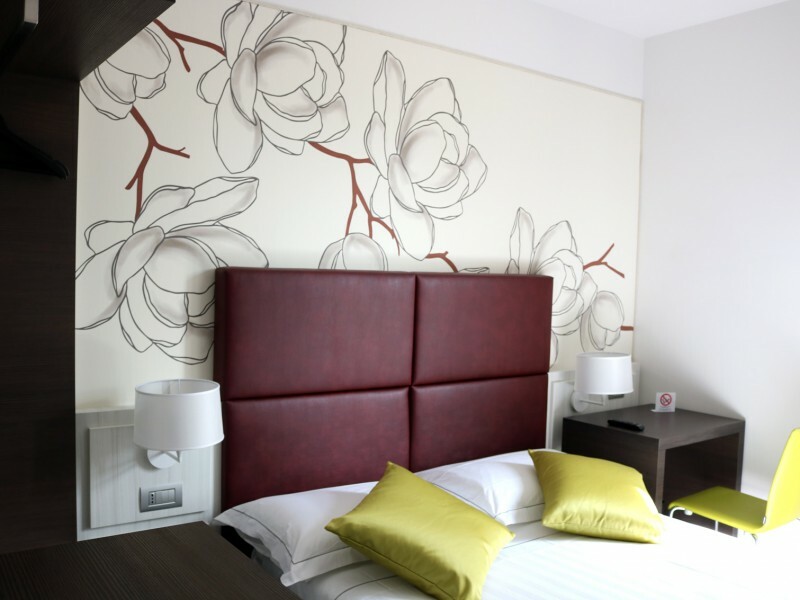 The Deluxe Room is a 16 or 20 square meters room, perfectly suitable for the guests who would like to enjoy extra space and comfort during the stay. 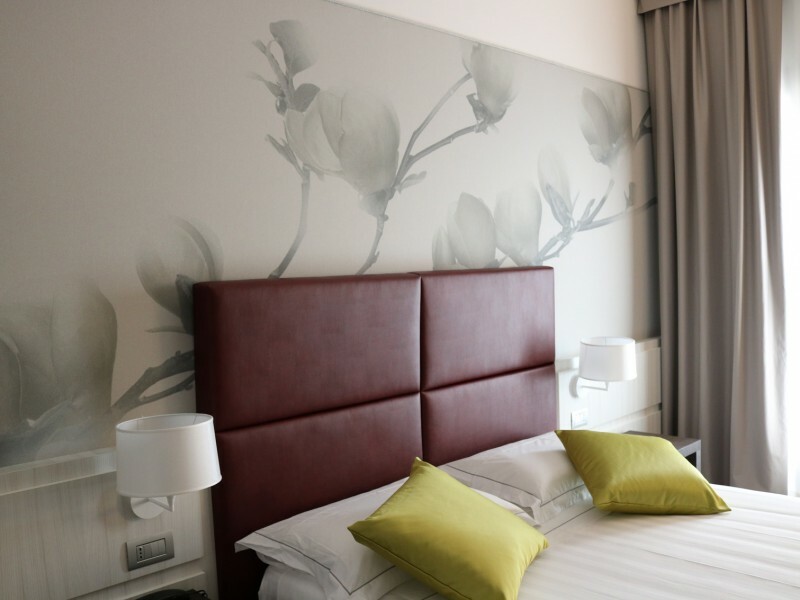 Equipped with all comforts (air conditioning, telephone, flat screen TV, safe, minibar, hair dryer, and personalized linen), the room has a magnificent panoramic view of the hotel park and of Villa Manfredini. The furnishings of the room and bathroom are characterized by elegance and design elements.